If you’re a fan of “A Christmas Story” like we are, you are familiar with the infamous turkey catastrophe and the subsequent duck dinner hilarity that ensued afterwards. While the majority of us will be enjoying a meal with family or friends, there are occasions that call for the need to eat out on Christmas Day. 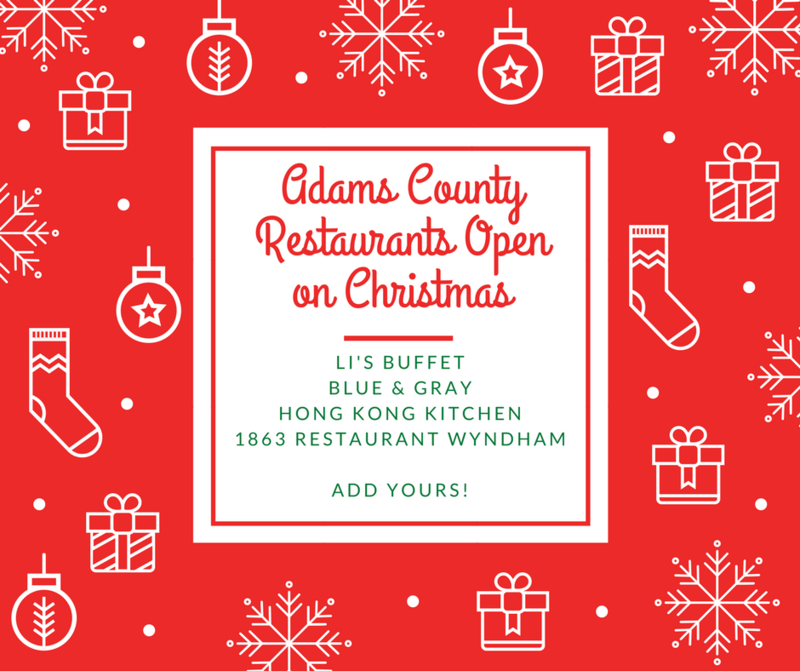 While Gettysburg and Adams County are small-town compared to larger cities that have many options year round, there ARE a few options for those of us that plan to go out for Christmas Dinner. Always check with the restaurant first to confirm. 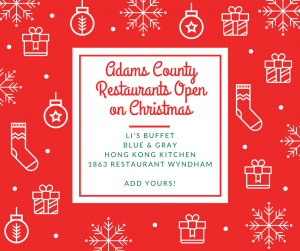 As always, we love promoting local businesses, especially restaurants, in the Adams County Local Business Directory. Check them out! Is there a list of restaurants open on Christmas Eve and Christmas 2018? We were hoping to spend Christmas in Gettysburg but are finding it impossible to find nice restaurants that are going to be open. If we can’t find places to eat other than fast food joints or chains, we’re not going to come.